In the past, buildings were places where people simply lived and worked; now buildings are being designed to optimise and advance their occupants’ wellbeing. Clean air is a critical component of occupants’ health and wellbeing. Indoor air quality can be degraded by numerous factors including volatile organic compounds (VOCs) that are emitted from building materials. Such gases can include formaldehyde, which at high concentrations can lead to irritation of the nose and throat and has been associated with respiratory disorders. MDF (Medium Density Fibreboard) is dense, flat and stiff, with no knots and is easily machined, which is why it is commonly used in building fit-outs. Its versatility makes it a feature of numerous interior schemes and items of furniture. However, to enable designers and contractors to benefit from the advantages of MDF and maintain great air quality, caution must be used. For many years, formaldehyde has been misunderstood in the construction industry. It was universally assumed that machining all types of MDF created dangerous formaldehyde-ridden dust, which could have adverse effects on workers’ health. 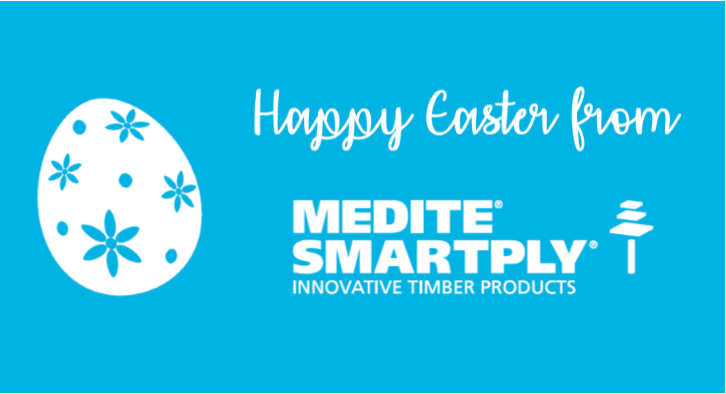 There’s something that makes MEDITE ECOLOGIQUE different from other MDF boards, though. Formaldehyde is naturally present in wood-based materials, but usually at a very low level. However, this can be amplified in some MDF or composite woods where resins are used to bind the wood fibres that constitute the board. MEDITE ECOLOGIQUE is the answer: an MDF panel manufactured with zero-added formaldehyde specifically for use in environments where VOC emissions need to be kept to a minimum, such as hospitals, schools, care homes and public buildings. Although no wood product can be entirely formaldehyde-free, independent tests have shown that the formaldehyde content of MEDITE ECOLOGIQUE is less than 1.0mg/100g: equivalent to that of wood found in nature. In fact, the formaldehyde emissions from MEDITE ECOLOGIQUE are well below general ambient outdoor levels and the board outperforms the rigid Class E1 (EN622-1) low formaldehyde standards. MEDITE ECOLOGIQUE panels are ideal for use in manufacturing furniture, fixtures and mouldings for applications in highly sensitive areas. In fact, any environment where wellbeing is a consideration, is an opportunity for MEDITE ECOLOGIQUE.